Now, Michael Bay brings audiences Paramount Pictures' "13 Hours: The Secret Soldiers of Benghazi," the gripping true story of six elite ex-military operators assigned to protect the CIA who fought back against overwhelming odds when terrorists attacked a U.S. diplomatic compound on September 11, 2012. When everything went wrong, six men had the courage to do what was right. 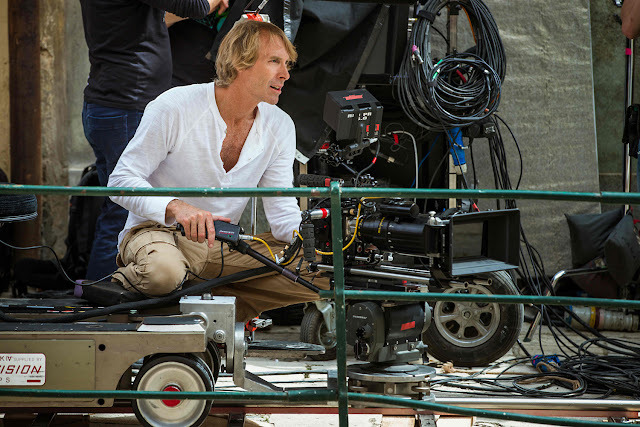 Watch a featurette on Michael Bay here. The film is written by Chuck Hogan, based on the book 13 Hours by Mitchell Zuckoff and Members of the Annex Security Team, and stars James Badge Dale, John Krasinski, Max Martini, Pablo Schreiber, Toby Stephens, David Denman and Dominic Fumusa. The real-life soldiers were happy with the choice of Bay to direct “13 Hours.” "I thought `Armageddon' was awesome," says Kris "Tanto" Paronto, a former Army Ranger. Adds former Marine Mark "Oz" Geist, "Some people are like, 'Oh, Michael Bay, he does all the explosions.' Well, the real event had plenty of explosions. So it's not like he had to come up with any."